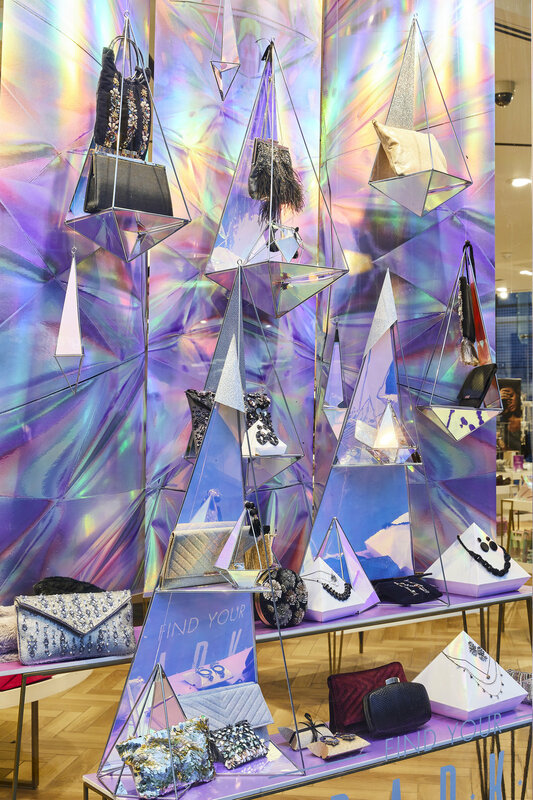 This festive season, Accessorize have invited their customers to ‘find their sparkle’ with a contemporary and immersive window and instore scheme. 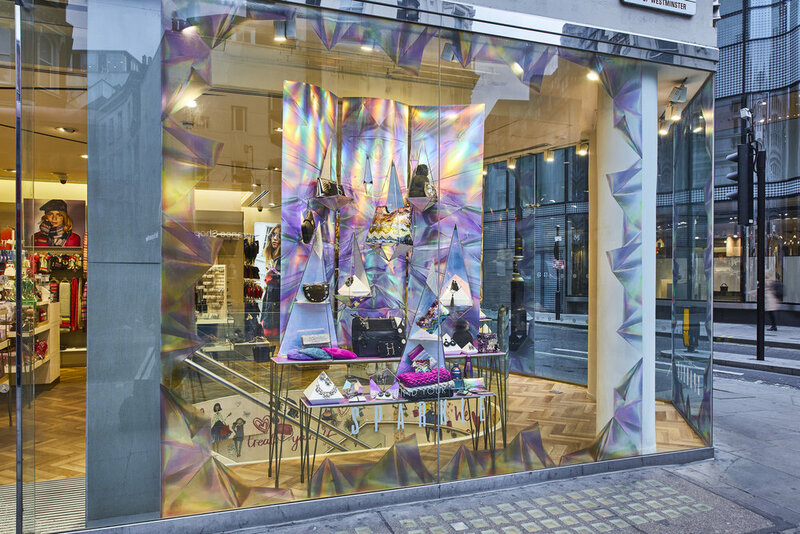 Using interference filters and films, light is fractured and dissected in amongst wonderfully contemporary and bespoke crystal shaped product holders, creating a feeling of modern opulence across these immersive window displays. These enchanting elements, designed in the UK, have been manufactured and hand finished using Far Eastern manufacture, and rolled out internationally to hundreds of Accessorize stores across forty-five countries.